When I first heard the term "Portable Loyalty" I thought that it did not refer to me. I am a loyal client. I buy where I am treated well. That goes for all of my purchases. A good example is the AlphabetXpress available here at AnnTheGran.com. I always check out new font/words programs because I do so much of it, but I never have found a better software at any price. I know that it is a quality product and I really don't mind paying a little more if I feel like I am being considered to be someone of interest to the seller. If a hankie is ruined because of the software, it is no bargain. AlphabetXpress is really quite inexpensive for the power of the program. Conversely, with the people I patronize, I have found that loyalty can be a bit transient when it comes to the cash register. I had some specific needs during my family emergency (which has not yet ended) and was a little surprised by the responses I got when I needed help locally in southern California. Because of that treatment, I may be seeking out new, local embroidery shops for my needs. While in Phoenix, I needed some embroidery supplies, and anyone in that metropolitan area knows the 'go to' store is 35th Avenue Sew and Vac. There I got the attention I needed and help with a small burr on my bobbin case - at no charge and immediately. I came away feeling like a princess. I was there no more than 20 minutes and I know that sometimes they cannot do the same thing under different circumstances, but this time, they were my heros! I still had a problem with my thread. I had been using different brands trying to figure out why my thread was shredding. The shredding was different that when thread breaks cleanly. I did not keep any of that thread, but you may have found some of it yourself. Some how the 2, 3 or 4 threads that are braided together to make embroidery thread start to 'tear' one piece at a time until there is barely a spider web thin piece of thread left. OMG! That was a lot of trying to resolve the issue but I did not have success anyway. (623-583-0070) $2.99 + $1.00 s/h. I started speaking to the manager, Fran and two clients and we had a lively discussion on embroidery issues. I love talking embroidery. While I am not an expert, I like to share what I have experienced and they did as well. Fran made a simple suggestion, change the size of my needle. Use a larger needle. And with that, my issue that I have had for at least a year (off and on) was solved. What does all that have to do with loyalty? Well, I can be loyal but still visit stores, big and small, in my area and still have loyalty to where I am treated the best. My business matters, whether I am spending a few dollars or thousands of dollars. Along with that, I can enjoy meeting new people who have different thoughts to make my embroidery the beautiful work for which I can be very proud. That is my bottom line! I know that I have discussed AlphabetXpress many times. I have encouraged you to give it a try for yourself. I have discussed how very well it is designed with excellent underlay (not found on all other digitizer's fonts). In addition to all of that, they are always coming up with new and innovative fonts for my selection. I never liked those 'cutesy' fonts with strange things around them - - with the exception of Halloween fonts which have a reason to be silly and funny. This weel AlphabetXpress and the fonts are ALL ON SALE at 40% off. The prices are very good normally, but when you add 40% off, it is a bargain that you will appreciate for a long time to come. Another reason I like AX is that I often have a need for very small fonts for my bridal hankies. I have several that are really beautiful, but you may notice that there is a recommendation for the smallest and tallest size for each font. I am going to get the Adrian because it can go as low at .35" (9mm) to the height of 1.58 (40mm). That is an excellent range and the font is very simple and practical. If a bride likes a script style font, Carnation is excellent because it can go from .31" (8mm) to 2.36 (60mm). With the Carnation, I not only can do writing, but I can also create a very nice Monogram from it and frame it with one of the frames on my machine. Talk about versatile! Lastly, I always need to have a fancy/heirloom style of font available and the Yorkshire fits that bill well. 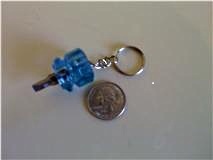 In this case, you will note that the smallest recommended size is 1"(25mm). There is a good reason for that - if you are using something so ornate, using it in writing must be done large or the details just look like someone dropped spaghetti on your hankie. It would be used for monogramming and be very antique in nature for your project. And for those users who now have Windows 7, the program does work for that system as well. I am using it myself. If you have been using a 32bit system but upgraded to a 64bit system, the original file you downloaded has both versions in them. You are ready to go! There is so much to love about AlphabetXpress, I hope you give it a try. It is an excellent program that you will use often. In fact, you will probably start writing all sorts of things on your project such as names (as creator, you should sign your work! ), dates (it will become an heirloom!) or other fun/interesting thoughts (that is what grandma did on her 'sampler'). If you read the newsletter, you know that everyone has a story that is interesting. You just need to find the right person with the answer because we just don't have enough time in the world to know all the mistakes that can be made. Tell us about your DUH! moment, we love to know we are not alone. Winners in the African Folklore Embroidery $500 Challenge Favorite Fonts Galore!